WHY JOB YOUSHAEI RUG COMPANY? Located just 20 miles north of Chicago, IL our 10,000 square foot showroom is filled with over 2,000 rugs plus hundreds of custom options. 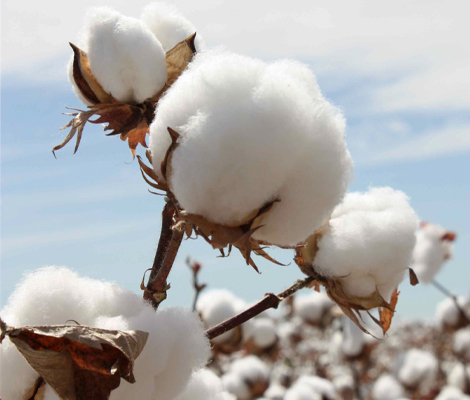 We specialize in handmade wool and silk rugs of all types. 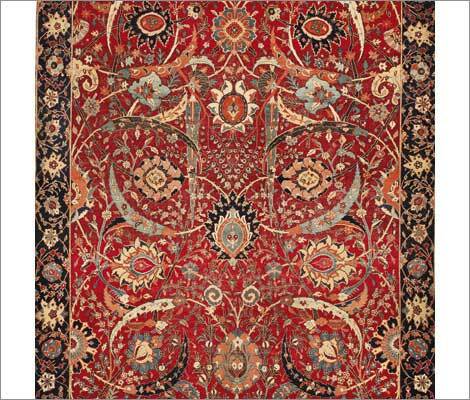 We have rugs from Persia, India, Tibet, Pakistan, Afghanistan, and China. 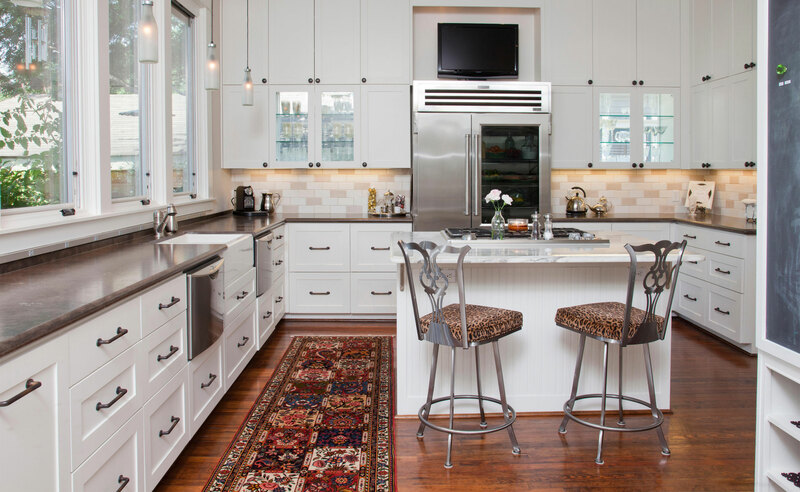 There are traditional Oriental rugs, transitional rugs, and modern rugs available to buy in our store and on-line. At Job Youshaei Rug Company, we believe that by learning more about rugs while you shop, you will be able to make the best buying decisions. 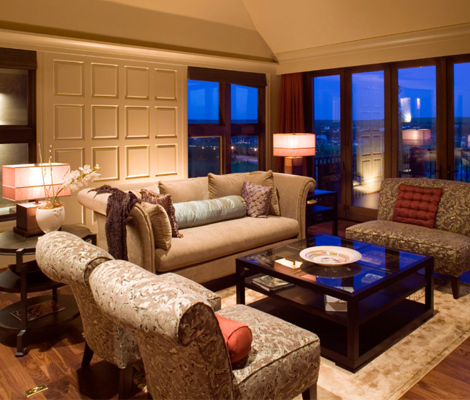 Trust and your comfort with our company are foremost. 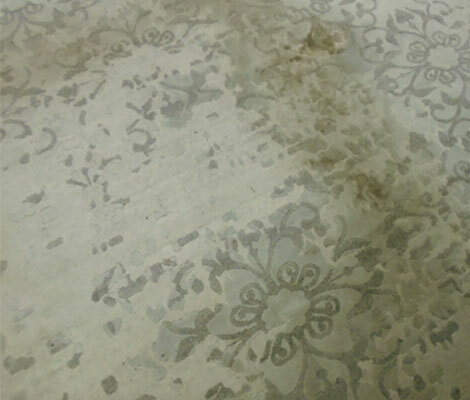 We have been exclusively dedicated to the sale, cleaning, repair, and restoration of rugs for over 30 years. My wife and I have bought a number of beautiful Heriz rugs from Job Youshaei over the years, starting almost 20 years ago. We love our rugs. They are some of our most prized possessions. 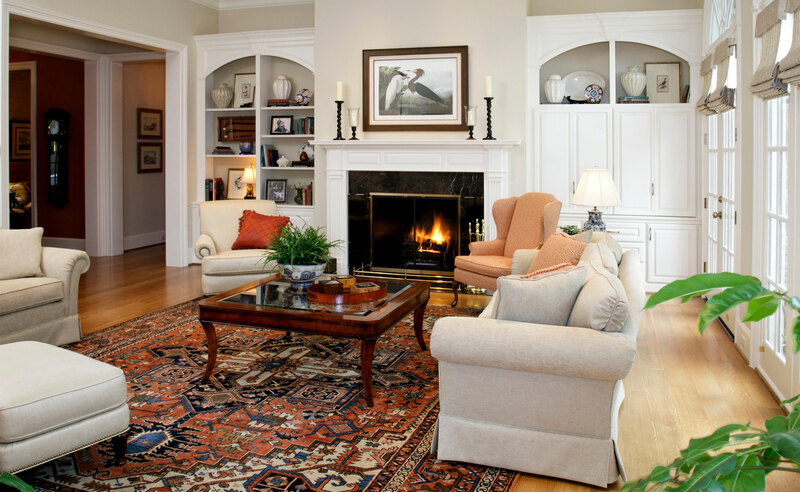 We have always received the most considerate and knowledgeable service from Job and his family, which ranges from patiently helping us to identify what we thought we were looking for to trying out any number of rugs in various rooms of our home over the course of several weeks until we have made up our minds. He and his staff are extremely considerate, friendly, professional and patient. Although we have traveled in Turkey, we will do our shopping with Job. 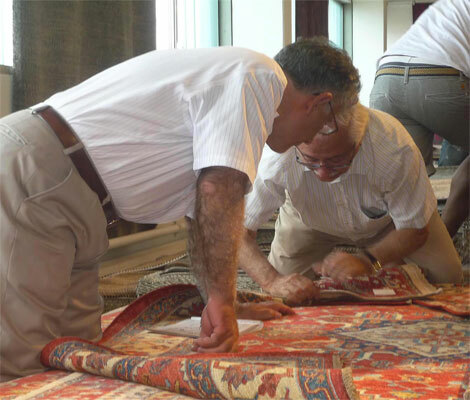 As an enthusiastic amateur collector and hobbyist of fine, antique Persian carpets and other Oriental rugs, I have purchased exclusively from Job Youshaei for 25 years. Mr. Youshaei’s business model is unique in the Oriental rug business from my rather broad vantage point. Job Youshaei offers 100% personal integrity and business ethics, and this is evident in so many ways to his ever-growing, loyal and satisfied clientele. The essence of Job’s business approach is superb quality pieces and excellent value for the money. Also, Job never has gimmick sales, only honest fair trade prices. I am completely unsurprised by Job’s tremendous business success. I trust totally the Job Youshaei Rug Company! I brought my rugs to other dealers who didn’t want to touch them. There is only one person who does not snicker and sneer when I bring in what my pets have done to my rugs – Job Youshaei. His store has saved damaged rugs that could not have been saved anyplace else. Job, you rescue rugs! For the last twenty five years I have been a customer of Job Youshaei Rug Co. and have found their services to be excellent. I first became interested in Oriental rugs through Job and during this extended period I have not only purchased a number of Oriental rugs from Youshaei Rug Co. ---relying on Job's expertise in this area has been very useful---but have also used his company to clean and maintain my rugs. Based on my thorough satisfaction with their services, I am pleased to recommend them to others. I have found your motto ‘the more you know rugs, the better mine look’ to be absolutely true. 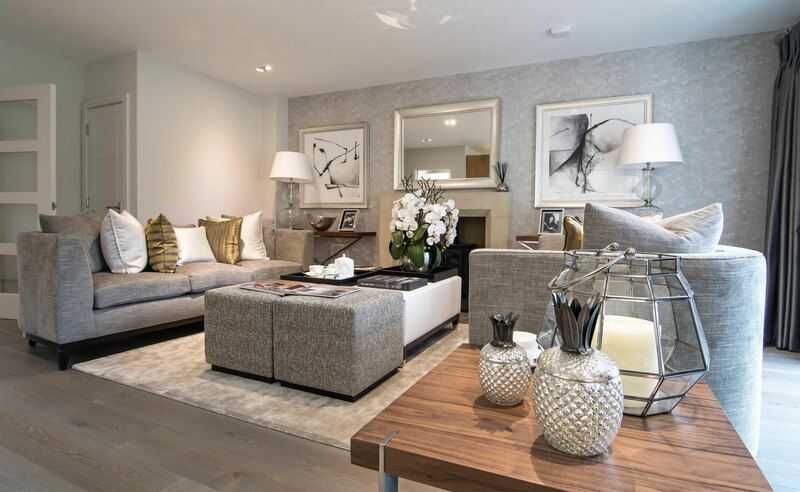 Job sells top quality rugs, makes the process of shopping for rugs a great pleasure and provides ongoing service with a smile. 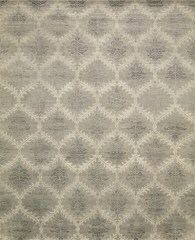 My rugs are the most beautiful things in my house and they are the foundation for decorating my rooms. I am truly grateful for the opportunity to do business with you. 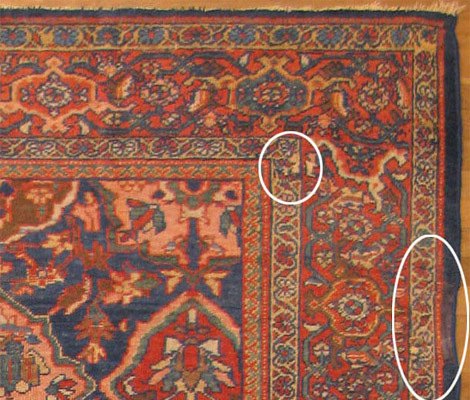 Job Youshaei is my sole source for Oriental rugs. 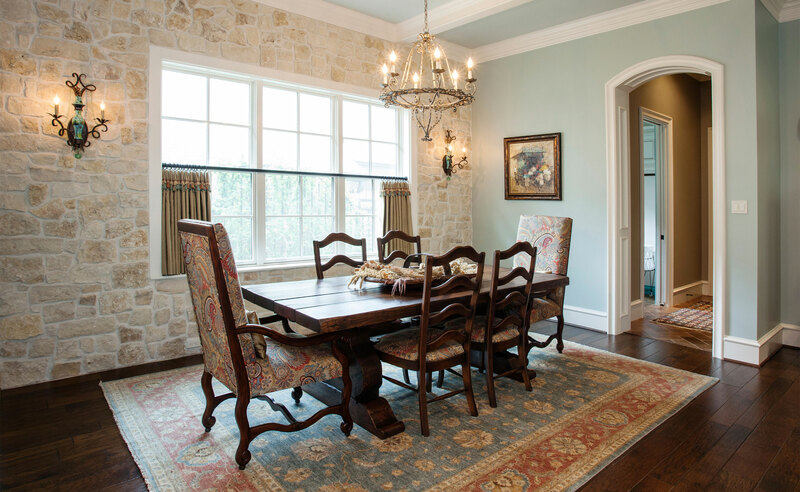 I respect his extensive knowledge and I rely on his trained eye to find the best rug choice for my clients. He has an eye for color and a wonderful ability to put companion rugs together. I have found his service, reputation and prices comparable to none. What a pleasure it is to deal with Job. 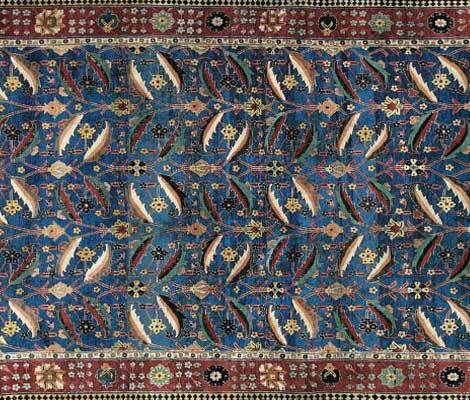 His exceptional knowledge of fine rugs and their history brings them to life. You can count on Job for integrity and quality. Job Youshaei has been providing professional service to my family since we first purchased several Oriental rugs from him in the early 1990's. 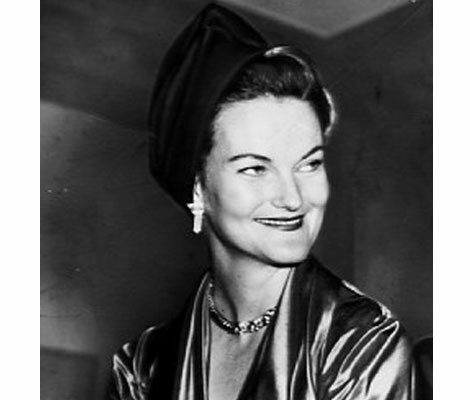 He visited our home in Glencoe and advised us as to sizes for several rooms with an eye for our chosen colors. Over the years, he and his company have returned to rotate our rugs. His crew carefully removed fragile items and heavy pieces in order to move the rugs and returned them to their correct locations. All of this was done with the utmost care. As well, Job has picked up rugs over the years for cleaning and / or storage when we have been out of the country. We recently renovated our home, and he has assisted us with cutting down and matching a rug for a different seating pattern in the living area. It is with pleasure that my family continues to do business with Job. 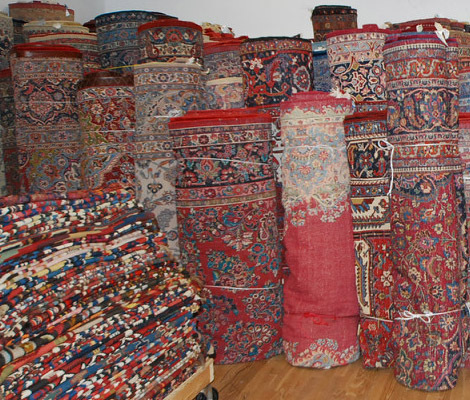 We feel we can trust his advice and guidance and know our rugs are in good care. My husband and I have been doing business with Job Youshaei for over 20 years with many purchases. We have found him to be very trustworthy, accommodating, and loyal with regards to anything we needed. 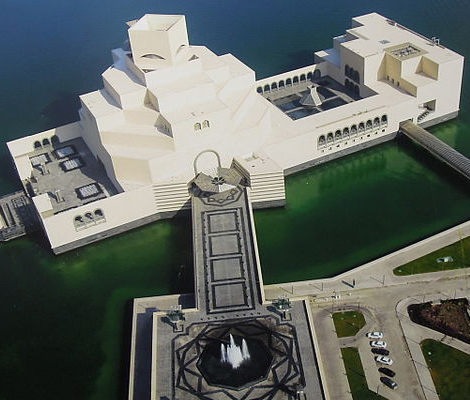 Rest assured you will be pleased with meeting and doing business with Mr. Youshaei! I just wanted to write about the best place anyone can purchase rugs, have them taken care of by Job as if they were his own children, and learn anything one ever wanted to know about rugs. That place, of course, is Job Youshaei’s store. Most importantly Job is very trustworthy, honest, and dependable. There is no better place for anything that has to do with rugs. When a rug gets sun faded, it's usually just superficial. 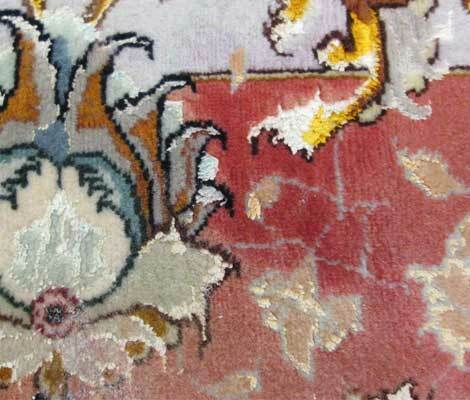 Shearing the face of the rug reveals the original color below the millimeters of faded wool. 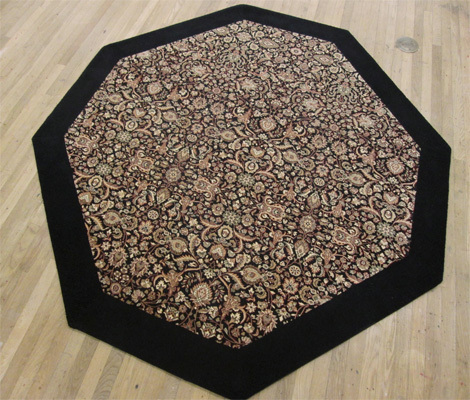 One of our customers requested that we turn remnants of machine made carpeting that they owned into a custom rug of an unusual shape: an oblong octagon.